Keep your zen for the wedding, and Namaslay your big day ! 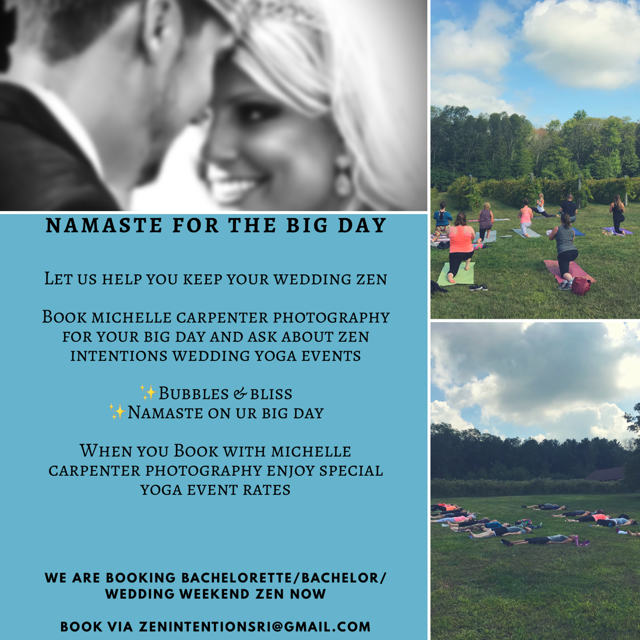 Stephanie and Kelly from Zen Mafia, along with Michelle Carpenter from Michelle Carpenter photography, want to make your special day as zen as possible! We offer yoga privates for brides/bridal party/bachelorette/bachelor/wedding day/traveling guests/pre-wedding weekends. 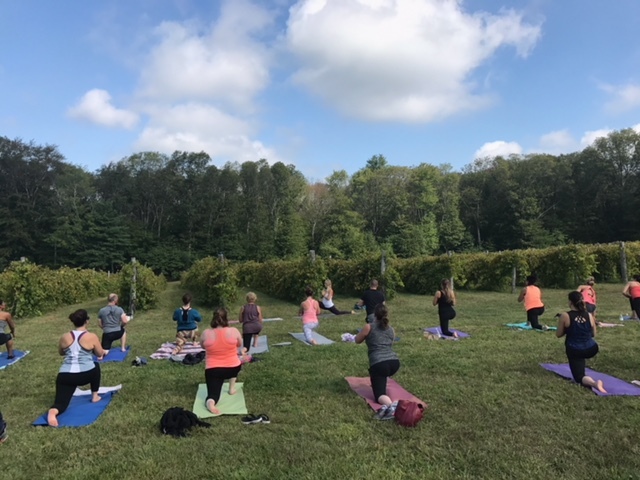 As an added bonus, if you have already booked or will be booking with Michelle Carpenter photographer for your wedding, we provide a special discounted rate for your yoga experience! You bring the bubbles we bring the bliss! We will flow through a fun, invigorating customized class. As we flow we will tie breath with movement, resetting the nervous system and allowing for a fully de-stressing aromatherapy filled savasana. Before your wedding, calm your nerves and restore your body with a little Namaste. 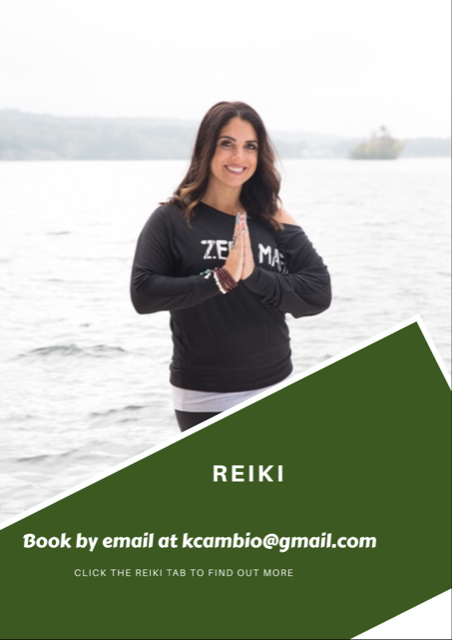 This class is restorative based, with some mindful movement and breath work to restore the natural calming mechanisms in the brain. Class will end with a spa based savasana. 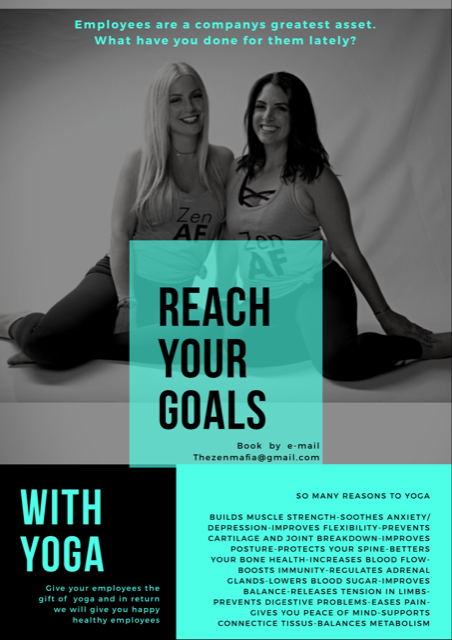 Start your bachelorette festivities off, with a customized yoga class! Class type, music, location, etc. all personalized to make your day, as special as you are! Book and personalize at Thezenmafia@gmail. Yoga to live drummer/DJ Timmy J for your wedding/bachelor/bachelorette event! E-mail to book and for pricing at Thezenmafia@gmail.com.